We took a 2009 G37 Sedan, did a baseline dyno with no other mods and added a set of Stillen headers. Some nice gains were had by just adding the headers, no tuning was done. Mike from British Columbia has the appropriate name for his Z, “Rude Boy”. 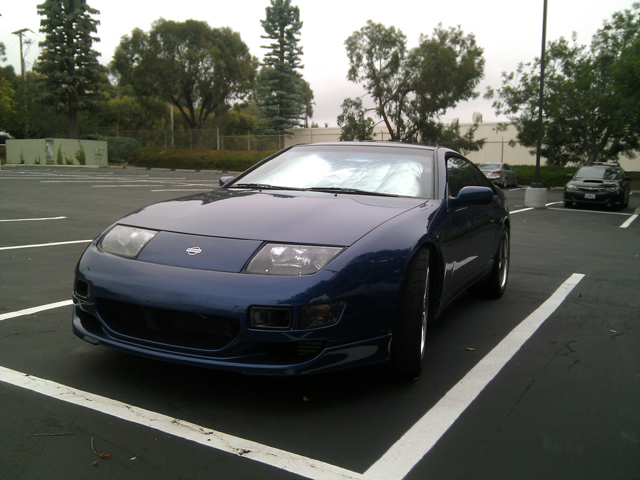 Mike sent down his Z32 for some tender lovin’ care. He knew his Z wasn’t running as well as it could have and wanted to give it the best shot it has. Beautifully modified on the outside. 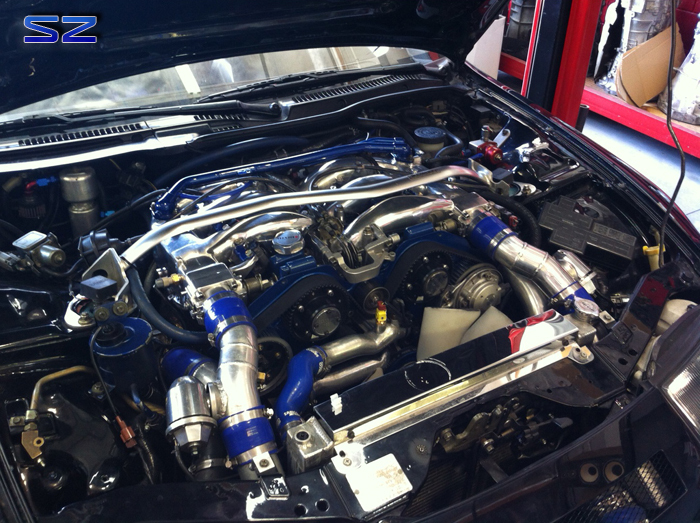 We added a set of custom 3″ downpipes to fit the altered location of the HKS turbos and external wastegates. Out with the old……. 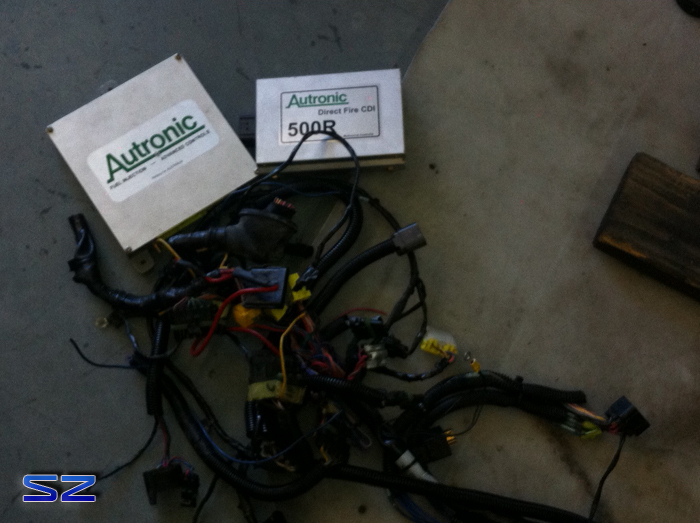 this ECU is actually pretty powerful but 8 years later there are new and improved ECUs available. 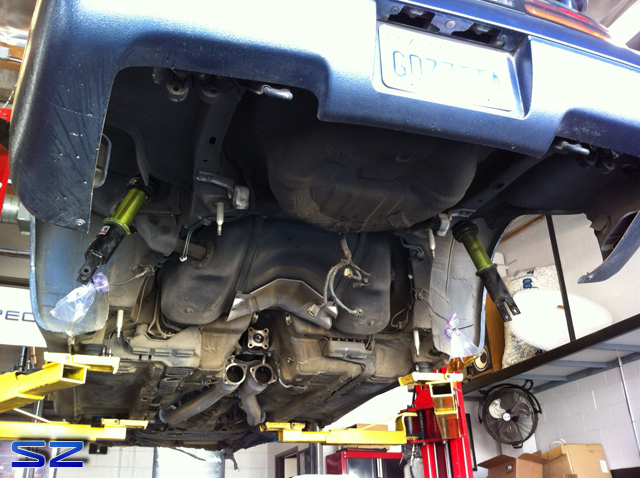 We yanked out the old harness and installed a brand new harness in its place. Haltech’d! We went with a Haltech in place of the Autronic. Packed with great features and adjustments. We installed a 4-bar MAP sensor, Intake Air Temp, Dual Widebands, I\O Box, Clutch Switch for flat shifting, and Anti-Lag Launch. 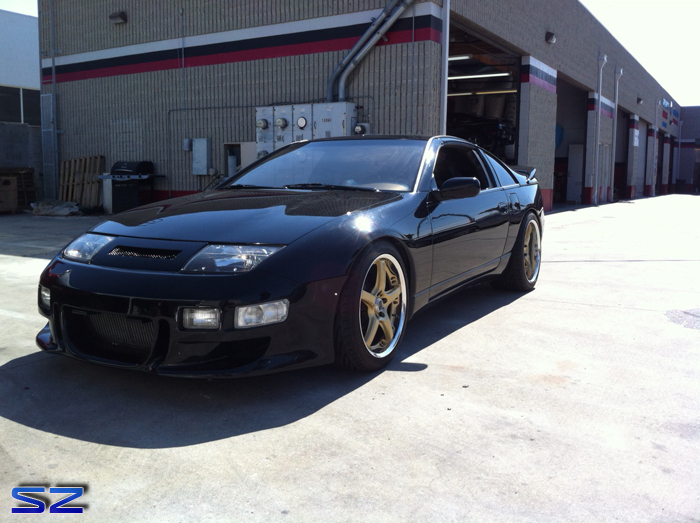 Contact us if your looking to get a Haltech for your Z.
Cleaned up. We moved alot of wiring around from how it came to us. 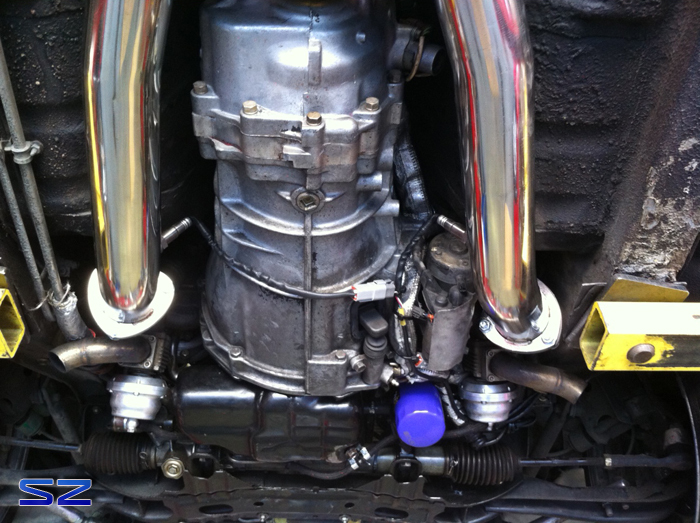 Rerouted the catch can setup. New cam gears are visible. Ready to get the job done. The blue run is the baseline we did as soon as it showed up to our doors. We kept the MAX boost level pressures the same. We gained 108 lb\ft of torque and 82 whp at 4000 RPM. 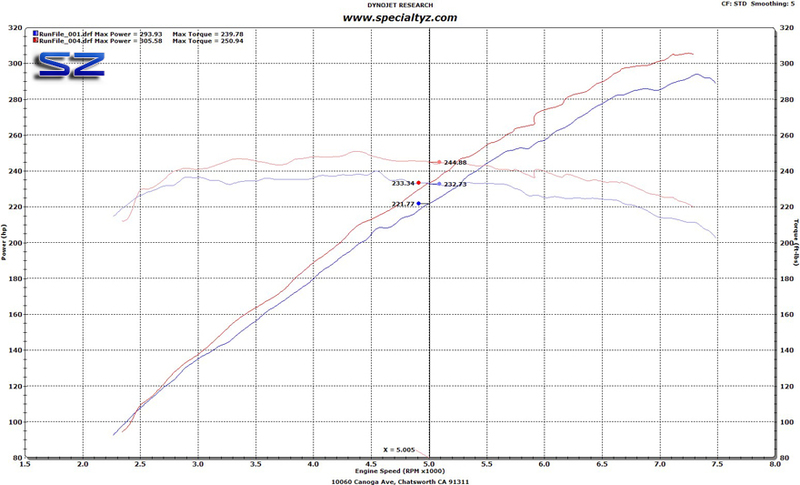 Much better drivability and response! 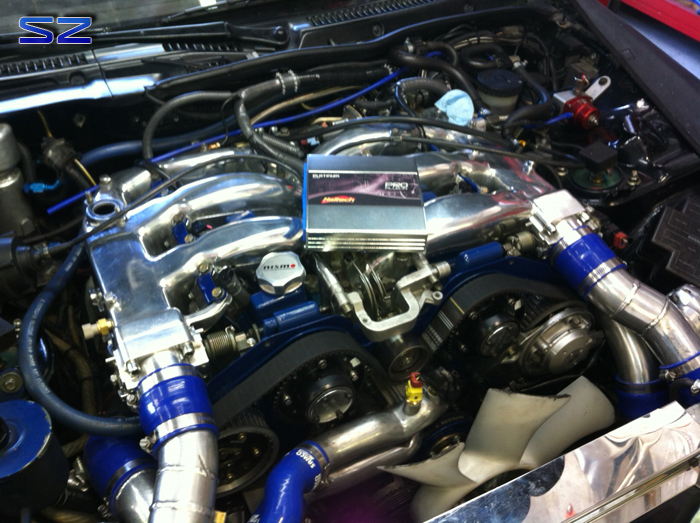 We also made alot more top end power. This is Rude Boy’s 94 Canadian Octane Tune. 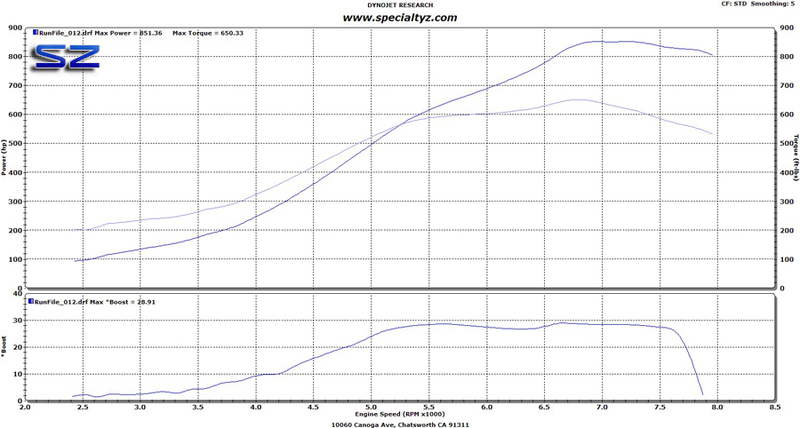 For the final tune Rude Boy will run Q16 fuel down the drag strip for 851 whp & 650 lb\ft of torque. 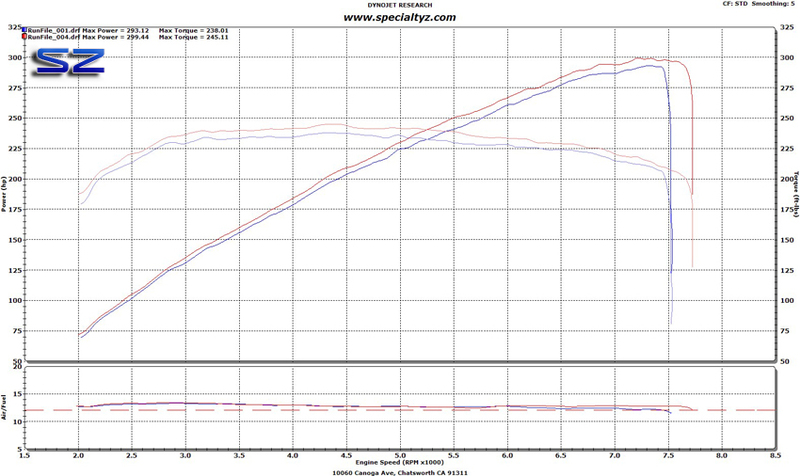 Maxing out its 850cc injectors with ease. 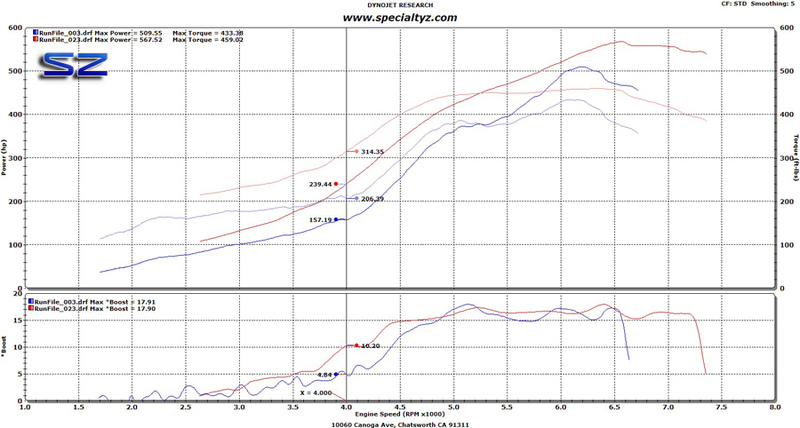 Just a tiny fraction of some of the dyno tuning on Z34s. A very good customer of ours had a small mishap at a local track not long ago. Amazing to see what losing control and hitting nothing can do (other than going over a ditch). What was a shame was seeing the Z getting towed hurt and somewhat destroyed from what was supposed to be a fun day at the circuit. 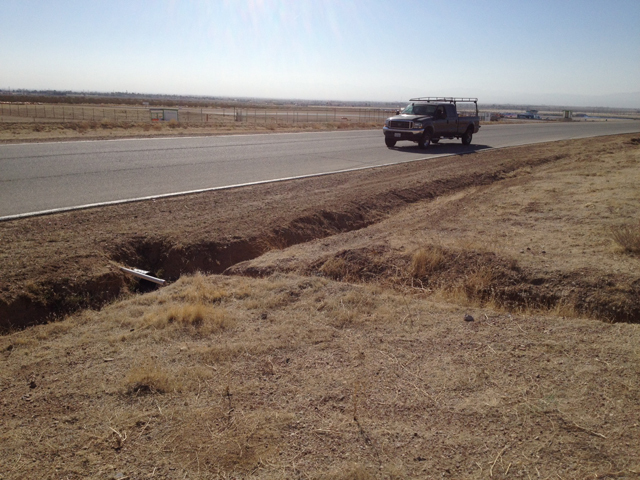 A majority of the front and rear suspension were destroyed along with some body damage. I didn’t take as many photos as I would have liked but here are some from the rebuild process. 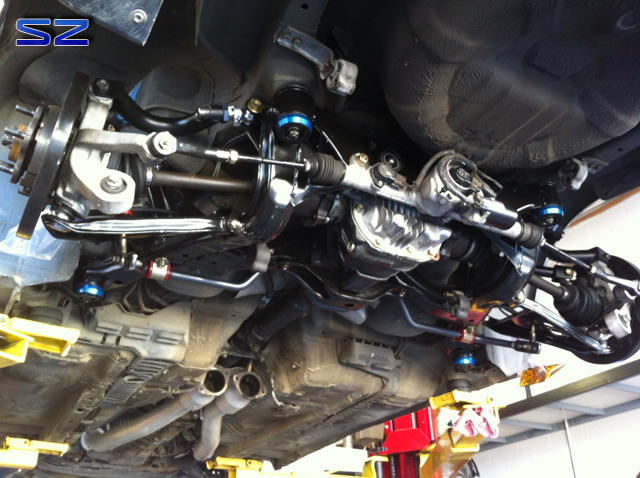 The subframe suffered catastrophic failure along with the upper control arms and HICAS tie rod. 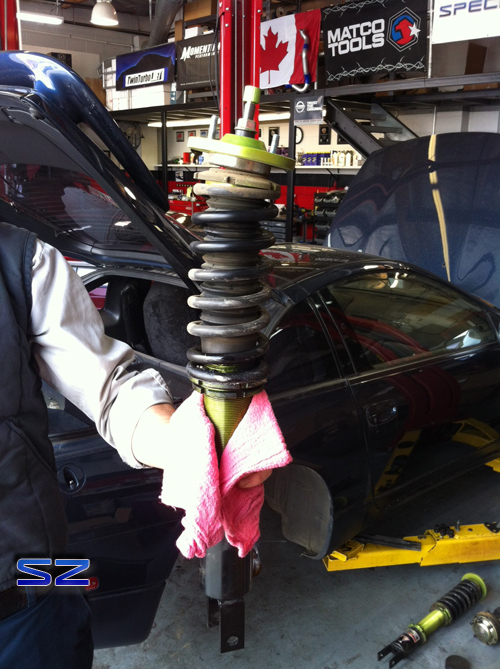 This rear coilover located on the driver side wasn’t so lucky either. To the rescue KW! 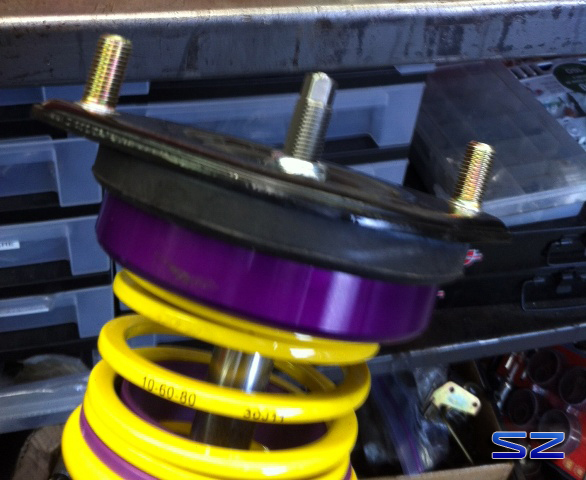 We opted to go with KW’s newly released V3s for the suspenion rebuild. Nice case for the manual and wrench. 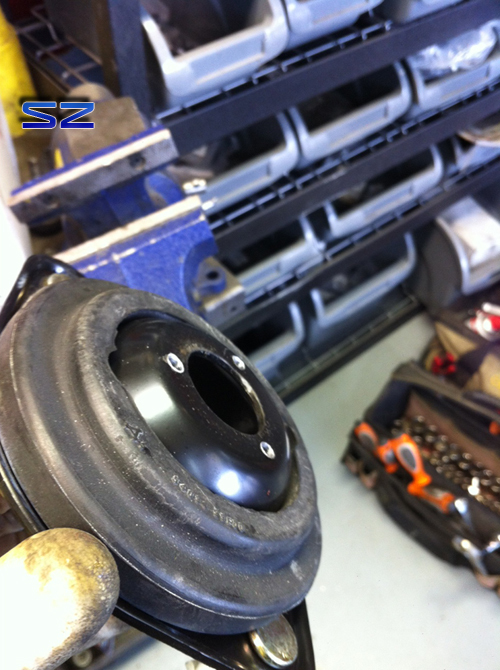 The V3s reuse the factory top mounts (fronts shown here) to keep things more comfortable and quiet for the street. The Clubsports use pillowball mounts. The top mounts need to be modified for them to be used on the V3s. 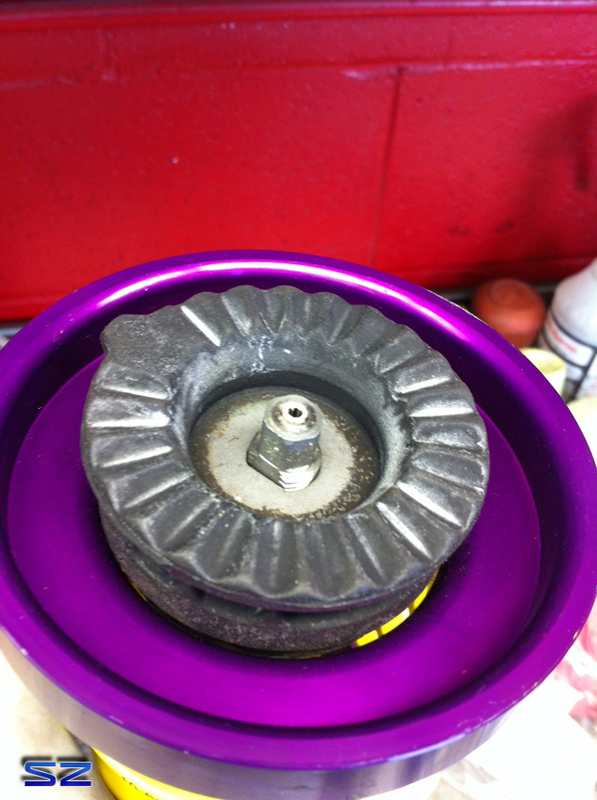 A simple drill was all that was required to separate the bottom flange from the top hat. Ready to go on the Z. 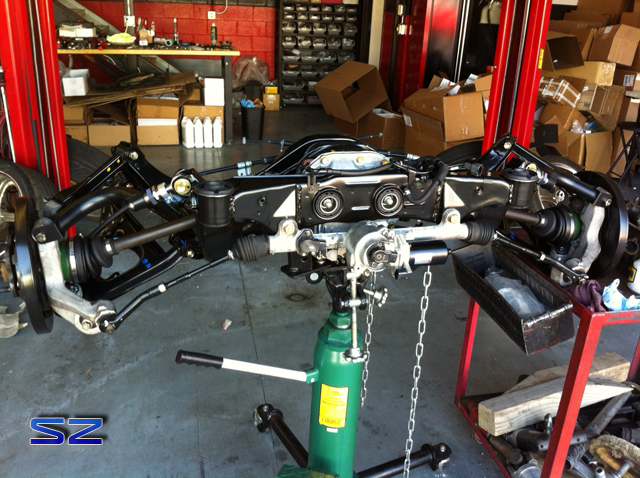 The brand new subframe, SPL rear upper arms, lower arms and other misc. 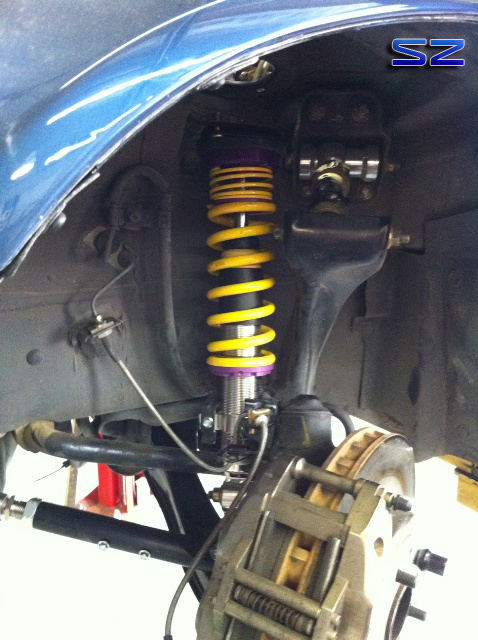 suspension bits. Not shown in the picture is the damaged rear driver fender. 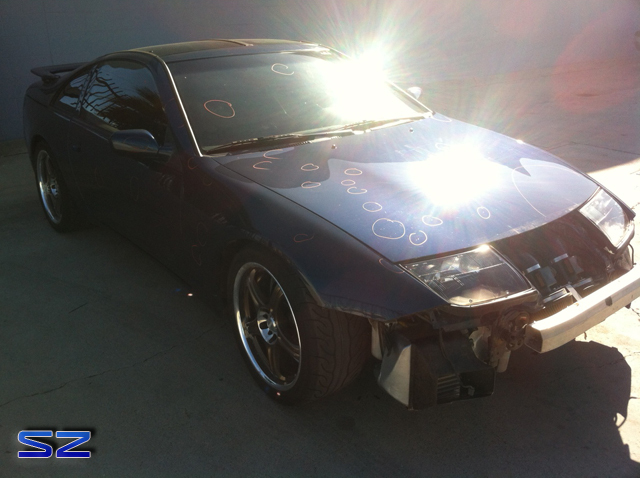 Damage to the Z was highlighted. The entire car ended up getting repainted and 3 out of 4 wheels needed repairing. The Z done in not so glamorous lighting. 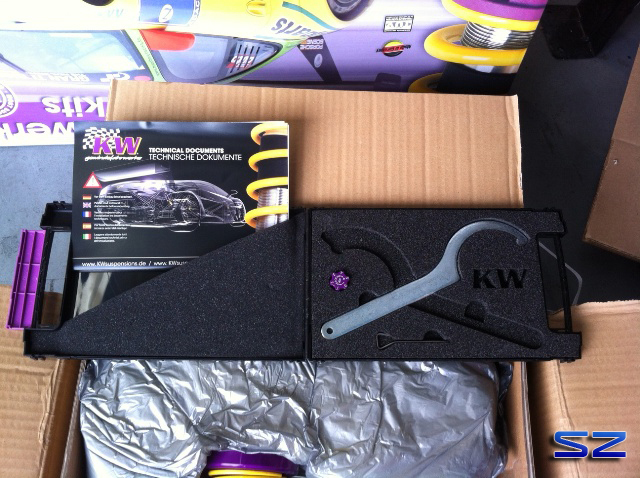 Impressions of the KW V3s were very good. My biggest pet peeve is comfort for everyday driving and these are amazingly comfortable (the most comfortable I’ve ever ridden) for an ultimate coilover. 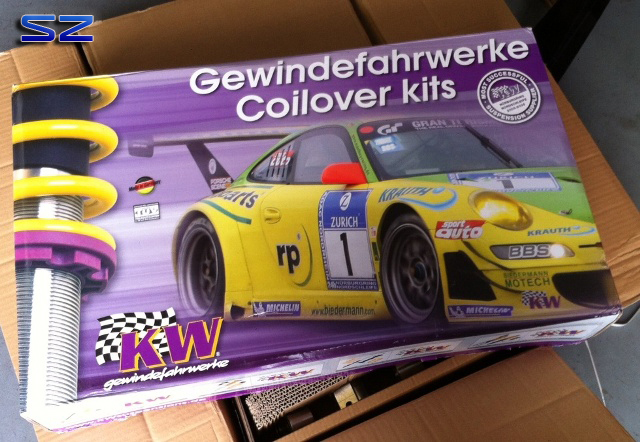 KW V3s are available from us here.